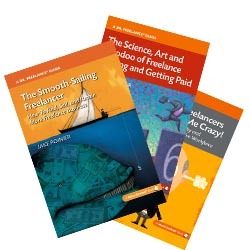 Laura’s blend of easy-to-implement strategies is based on her own successful career as the operator of Archer Editorial Services and her well-known Editorial Bootcamps, as well as drawing on instructive anecdotes from fellow freelancers. She’s also a trained and certified life coach; she brings a big-picture coach approach to the concepts of life balance and connects the big ideas to the action steps suggested. This book contains lots of options and different techniques so you can pick and choose what works for you. 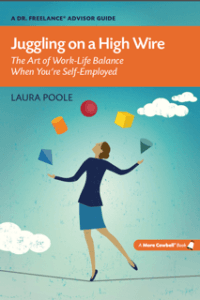 Whether you’re new to being self-employed or a veteran looking for ways to restore work-life balance to your career, Laura’s practical approach will help you create your own safety net. Would You Like to Be Published by More Cowbell Books? Jake, it’s good to see you expanding your publishing venture. If you published Laura’s book, I’m sure it’s top-notch. Thanks, John—I appreciate the kind words and social shares!